Battle Chasers: Nightwar is a western-developed JRPG from a team that includes Vigil Games veterans (the developer that made the Darksiders titles), and it hits all of the marks and more for dungeon crawling fans of all types. Starting off by sailing through the skies on an airship, it doesn’t take long for our protagonists to abandon ship and become separated on an island that they know nothing of. Having already been together for some time, the chemistry between them is clear from the outset, and helps drive events along as they look for the rest of their wayward group. 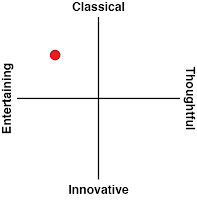 Based off of previously written work as the game is, there may be times where newcomers don't get the context of what is being said and done but that never detracts from the experience and by the end of it all you'll understand what is going on. Once on the ground and in control, Battle Chasers begins deceptively like a standard turn-based JRPG. Characters can attack, defend or use their abilities (mana pools permitting). After a brief introduction however, the real features come out and provide an in depth battle system to support the cast’s adventures and dungeon crawling systems. While attacking and using skills, characters can gain both blue (abilities) and red (overcharge) mana in order to help control the flow of battle. 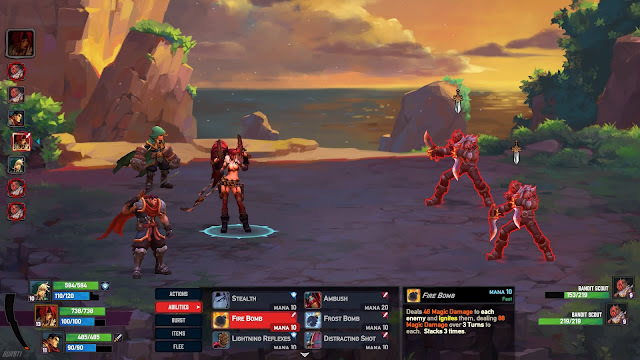 In most JRPGs, the mana bar is something that only ever ticks downwards until you can find a safe area to rest, but in Battle Chasers, it's a more fluid resource, and it's possible to steadily build it up as the combat drags on. The goal from the developer's point of view is to get players to use these abilities a lot less conservatively, leading to some pretty spectacular battles. Red mana is perhaps even more useful, as it can be used to add devastating additions to attack modifiers, but it takes longer to build this stuff up. 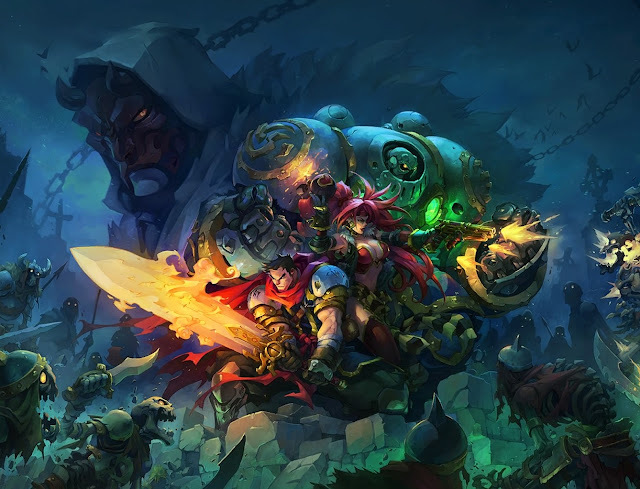 Despite having these substantial resources behind you, Battle Chasers knows how to be difficult, and if you don't make good enough use of the resources you'll find yourself belted back to down and with a lighter wallet. Characters have more than just combat abilities, and exploring the dungeons can require just as much thought as the battles themselves. Existing as a second set of abilities, each character can perform feats with limited uses in order to give yet another edge to the coming battles. It's possible to launch cannonballs down the corridors in order to damage enemies and set them on fire, or alternatively use a flash bang or turn invisible to sneak past them while simultaneously emptying their pockets. This resource can only be replenished by sleeping in town, which helps to incentivise you to spend enough time there to get a sense of the world beyond the combat. 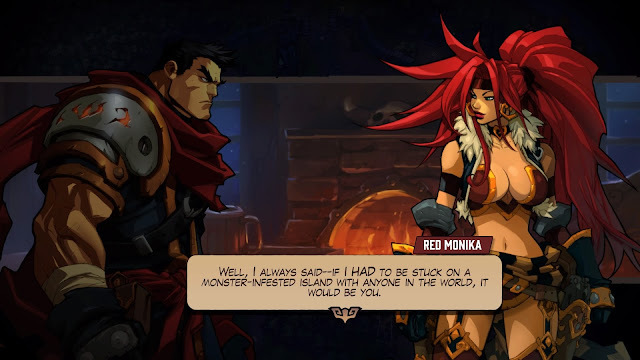 But make no mistake about it, Battle Chasers: Nightwar is primarily an old-schooled dungeon crawler. Dungeons can take up to an hour at times in order to get through, with a vivid boss battle and plenty of lore to earn along the way as a reward. There are also plenty of traps, puzzles and regular enemies that will stand in your way, and it's all good, except that the game doesn't lose its old school sensibilities in some other areas where it could have got rid of them. For example, it would have been nice to be able to speed up combat against really weak enemies, rather than have to go through the protracted process of attacking the enemy, slow animation and all. The dungeons themselves are randomised, and that's just as well, as you'll probably be playing them more than a few times. The reward for completing a dungeon is a loot chest, the contents of which is tied the difficulty level, which you can adjust on the fly. The hardest difficulty and best rewards are not available until a dungeon has been completed at least once, and if that sounds a little grindy, it's because it is, but the quality combat system stops it from becoming stale. And, unlike many games with randomised dungeons, there's plenty of lore to discover through a room, and reading through all of it is worthwhile in getting a better sense of the world. Battle Chasers, when it launched, was not without issues and we held off publishing this review in order to experience the newest version (1.02). Prior to this, freezing and crashing were quite common and in the cases of some, the corruption of the save data. Since then crashes have gone from being once every thirty or forty minutes up to once every six hours or so. So it's still not perfect, but better. Battle Chasers: Nightwar is a quality JRPG throwback. 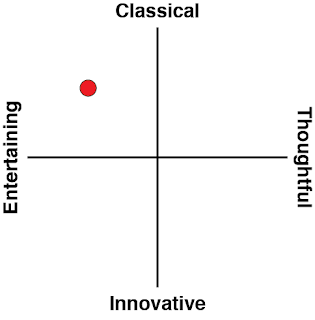 It's grindy and can be difficulty, but for people looking for a more casual experience the lower difficulty settings are a good introduction to the genre as a whole. With plenty of lore and heritage behind the game to further build it out, it's a fresh new franchise and a good proof that western developers can emulate the JRPG style when they want to.